In this guide, we answer the question “Should I get Fire Stick or Roku?”. Why? Amazon Fire Stick and Roku are two of the most popular streaming devices in the world. This guide is for people out there who are looking for a great way to stream content from their web and onto their TV screens. The Fire Stick and the Roku are very similar products, but they have many noticeable differences. This article will explore some of the differences between these competing products, as well as their pros and cons and more. The first main difference between these competing services lies within the quality and layout of the remote control. The Roku and the Fire Stick are each sold with their respective remote controls. Fire Stick: The Fire Stick remote itself has “Alexa” voice search capability (at least the “newer” Fire Sticks do). Roku: Roku does not have a physical remote to use for voice searches. The “remote control” app for Fire Stick or Roku allows users to control their Fire TV or Roku directly via their phone, without needing a physical remote. This is particularly useful, because you don’t have to bother about losing or breaking your remote control. Even more importantly, typing one character at a time to search for content is absolutely dreadful. It is very frustrating, especially when somehow you press a wrong key and have to do it all over again. 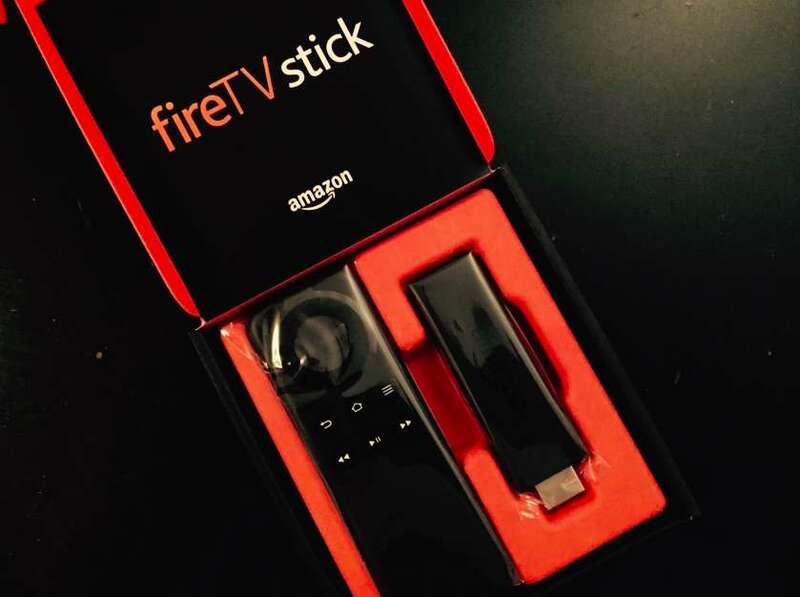 Fire Stick: The official Fire TV Remote app solves this problem beautifully well, because you use your phone’s keyboard to type in the titles of the content you are searching. This method is also great because the app offers a very practical voice control command. The voice command feature allows you to simply speak the name or title of the show you wish to watch. You can also use it to “launch” apps or features you want to access. Roku: The Roku also offers voice control, but only through the app. The Fire Stick has a voice control function built in directly into the remote control, which is a great thing for those who don’t want to clutter their phones with too many apps. Fire Stick: Amazon Fire Stick offers all of the major services we love, like Netflix and HBO Go. More importantly, Amazon Fire Stick allows you to install third party apps like Kodi, which is the best streaming app in the world. See how to install Kodi on Fire Stick in about 5 minutes. Roku: But Roku still has a stunningly wide variety of content, with over 2,000 apps available for that particular brand. In addition to that, some of the apps that are available for purchase on Amazon are actually free on Roku. “Plex” is a good example. So even though you can’t install Kodi on Roku, you can still use Roku stick to watch great apps like Crackle, YouTube and Netflix. Major streaming apps like Hulu are available for both Fire Stick or Roku! What’s Cheaper? Fire Stick or Roku? When you compare the pricing of the unit, the two get staggeringly close. The Amazon Fire TV is most definitely the cheapest options, priced at around $34.99 dollars. (Fire Stick is $39.99 when you purchase the more advanced voice control remote. The Roku stick comes at $38 dollars, which is slightly more expensive than the baseline Amazon Fire Stick offering. So, basically, they cost almost the same: around $40. Fire Stick: But if you’re considering going with Roku because it’s cheaper – take our recommendation and just get the Amazon Fire Stick. The extra app compatibility is worth the extra $5 or so! We promise. Roku: Roku is slightly cheaper than Fire Stick, but not by enough to justify buying a Roku over a FireStick! In conclusion, whether you decide to purchase an Amazon Fire Stick or the Roku, both models compare really close. The main difference is that while the Amazon Fire Stick is more advanced in terms of design and app compatibility, the Roku actually features a wider choice in terms of content. Fire Stick: Fire Stick is the clear winner because it unofficially supports Kodi. Roku: Roku also offers a whole lost of free apps that are not available for free on the competing Amazon platform. On the other hand, there are also a wide variety of add-ons and apps that are constantly being released. For the Amazon Fire Stick, many free alternatives exist as options to download as well.